Thank you so much for reading my daily messages. They are written from the heart and they are meant to help you improve. This is my final message of the year but no worries, I’ll be back. Since most of my clients are in shut-down mode, I have decided to “shut-down” for a week as well. It’s a creativity and planning break to return fully present and with renewed energy on January 3rd for you and your team(s). 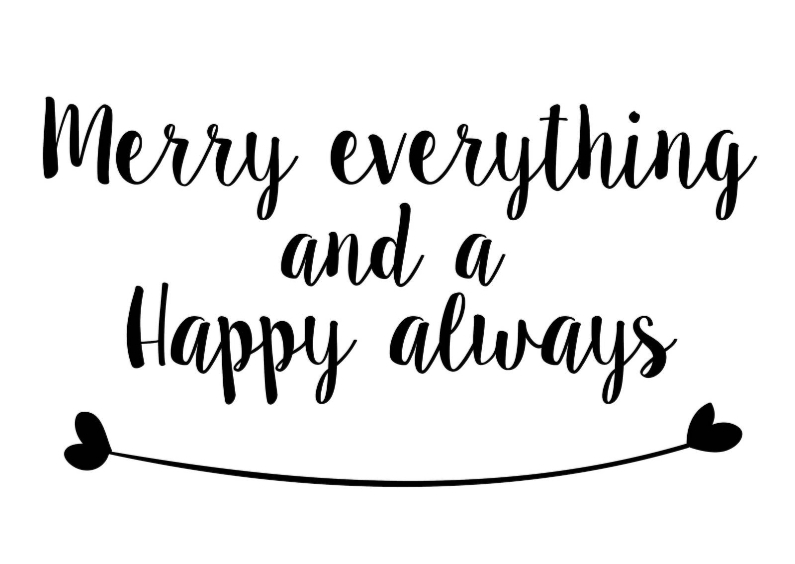 My family and I celebrate Christmas but because I have a multicultural audience with many different religions, I would like to wish you whatever makes you happy and fills your heart with joy. Just don’t hope you will get this from material things. Spend time with the people you love and tell them that you love them. Having said this, the holidays can also be a very sad time for many. If you spend the holidays alone like I did on Christmas Eve in 2008, simply see it as a challenge to overcome and make a plan. This was my action plan: I went for a run in the morning, I cooked myself a nice dinner, I opened a good bottle of wine, I watched the Christmas movie “Holiday”, I was grateful that I was healthy, I was happy that I didn’t have to buy any gifts, and I went to church at 10 pm. That’s it. I survived and it made me mentally stronger. If I could do THAT, what else was possible? It’s the end of 2018 and I want you to acknowledge all the good things that happened in 2018. This will help you to be positive and excited about the new year to come. Remember, you will get what you expect. We are going to smash 2019 in the best possible way, right? What are the things you are most grateful for in 2018? What are you most proud of (personally and professionally)? What do you want to improve upon in 2019? What person do you have to become in order to meet your goals? Finally, please take the time to read my all-time favourite poem. I love it and it helps me to keep myself and my goals in check. Read it or watch the video link below, and it will be time well spent. “I read of a man who stood to speak at a funeral of a friend. He referred to the dates on the tombstone from the beginning… to the end. I wish you a Relaxed Holiday Season and a Healthy, Happy and Prosperous 2019!